Yemen should regulate and restrict the use of force by law enforcement officials as international law requires. Police use of a firearm should only be lawful where necessary to confront an imminent threat of death or serious injury or a grave and proximate threat to life. The 1991 Constitution of Yemen does not guarantee the right to life but physical punishment and inhumane treatment during arrest, detention, or imprisonment are expressly prohibited.Art. 48, 1991 Constitution of Yemen.The Constitution does not guarantee the right to freedom of assembly. police, the security forces and any such bodies. Such forces belong to all the people and their function is to protect the republic and safeguard its territories and security. No organization, individual, group, political party or organization may establish forces or paramilitary groups for whatever purpose or under any name. The law stipulates the conditions for military service, promotion and disciplinary procedures in the military, police and security forces. A range of governmental and non-governmental forces are conducting law enforcement in Yemen. 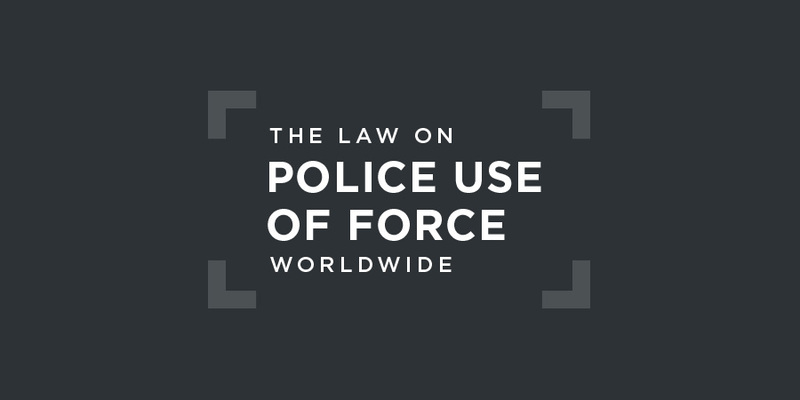 There does not appear to be extant legislation on police use of force. In its 2018 national report for the Universal Periodic Review, Yemen stated that its Ministry of Human Rights "attaches great importance to building the human rights capacity of law enforcement officers". of an independent national human rights institution. In 2017, the United Nations High Commissioner for Human Rights stated that, two years and more than 13,000 civilian casualties later, the conflict in Yemen continued to rage, with an intensification in hostilities that had exacerbated the entirely man-made catastrophe, and children starving and refugees and fishermen bombed. widespread arbitrary detention throughout the country, and ill-treatment and torture in some facilities. Parties to the conflict were allegedly resorting to the use of undeclared detention facilities in an apparent — and if confirmed unlawful — attempt to put detainees outside the reach of the law. There is not yet an Arab regional human rights court with jurisdiction over Yemen.